Dirt, airborne pollution and exhaust from vehicles can turn a once vibrant building in to a dark, uninviting structure. Years of pollutants can discolor and even worse, deteriorate certain components of a building. 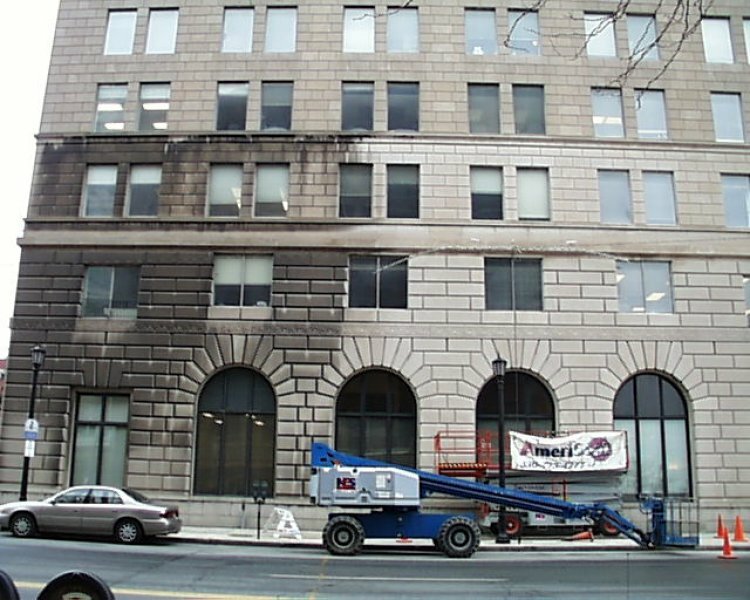 AmeriSeal has years of experience in providing building surface restoration to clients in Cleveland, Akron, Canton and throughout Ohio. We study each building surface to ensure the correct procedures are implemented. We are certified in the latest technologies of Firestop joints and work meets the highest industry standards. You can depend on our experienced, highly trained team of project managers to help you choose the design and appropriate Firestop material best suited to your particular project. Caulk is designed to seal joints or cracks in windows, doors, etc and protect structure joints from water, air, dust, insects and noise. Caulking can also be applied to enhance the exterior appearance of a structure. No matter your need, every caulking project should be reviewed and completed by a certified experienced professional. Is the mortar in your brick or stone work wearing away? Don't wait until your building structure starts falling apart, get the repairs you need right away! Conditions that contribute to the deterioration of masonry structures can be attributed to age, moisture, neglect, deferred maintenance, as well as pollutants. AmeriSeal has been able to demonstrate its broad range of building restoration and maintenance skills. This range includes a complete understanding of the delicate process needed for building cleaning; brick/stone and cement repair. The effects of seeing a once dirty building after it has been cleaned is dramatic. AmeriSeal & Restoration performs Historic Restorations and Re-Pointing of Brick and Stone buildings. We can match stone to your existing structure and blend it in so that the originality is kept in transition. We are known to specialize in historic stone repair and restoration for commercial projects as well as historic homes. Our team's knowledge of design,method and history of construction can hep you come up with the fight solutions to your masonry problems. 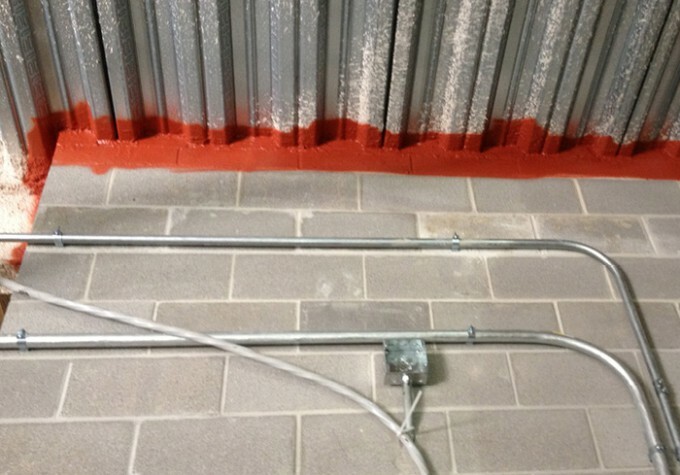 We can advise you on stabilizing, encapsulation, sealing, and waterproofing structures of brick, block or stone. 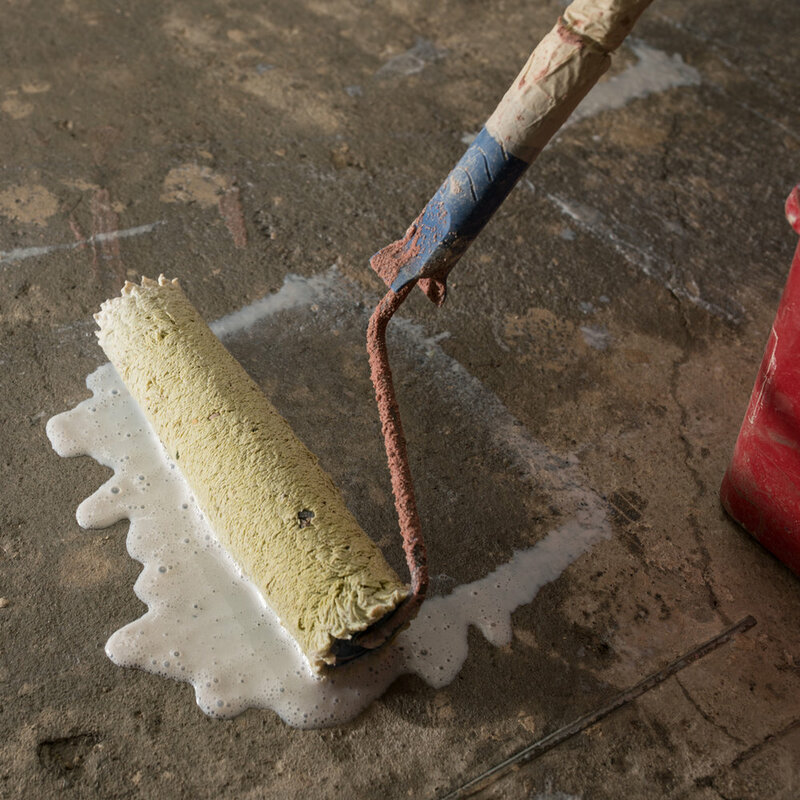 Our full line of concrete patches, epoxies, and more, are suitable for almost every concrete restoration application. Concrete is one of the most durable building materials that man has ever developed, but as tough as it is, it does deteriorate over time and will need to be repaired.